AFCI circuit breakers are specialty safety devices that have been around for well over a decade, and their job is to prevent fires. They get better and better as time goes on, but they're still not a perfect product. 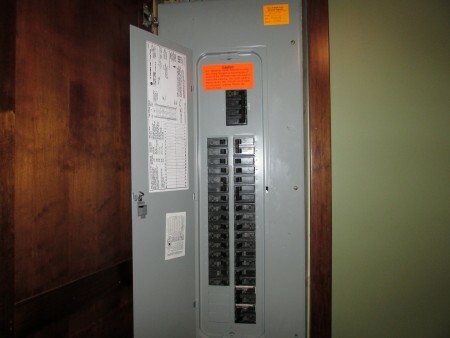 The main problem that homeowners experience with AFCI circuit breakers is nuisance tripping. It's what we call it when an AFCI device trips for no apparent reason. The two main causes for nuisance tripping at AFCI circuit breakers are improperly wired circuits and incompatibility with electronic devices. Wiring Problems: When an AFCI circuit breaker is installed, the wiring for that circuit needs to be done a little bit differently. When AFCI devices are first started being installed, it was common for electricians to have problems with nuisance tripping because the neutral conductors for different circuits were connected together at some point outside of the main panelboard. This has never been correct, but it would often happen with no ill effects, so nobody knew it was wrong. With AFCI circuit breakers, this improper wiring will cause the breaker to trip. Another wiring problem is more of an incompatibility issue than a wiring issue, and it has to do with multi-wire circuits. Check out Charles Buell's blog post for a good explanation of a multi-wire circuit. When older AFCI single-pole circuit breakers were used on multi-wire circuits, the circuit breakers would trip as soon as a load was applied to the circuit. Today, manufacturers make AFCI circuit breakers that are compatible with multi-wire circuits. GE makes single-pole breakers that are compatible with multi-wire circuits. Siemens makes a 2-pole AFCI circuit breaker. So do Square D and Cutler Hammer. Incompatible Electronic Devices: AFCI devices prevent fires by detecting electrical arcs, and attempting to differentiate normal electrical arcs from those that could cause a fire. Unfortunately this isn't a perfect science, and many electronic devices fool AFCI devices into thinking there is a dangerous arc even when there isn't, leading to nuisance tripping. Some of the most common offenders are treadmills, televisions, and fluorescent lights. Check out this 2011 document on nuisance tripping from the National Electrical Manufacturers Association (NEMA): Recommendations on AFCI / Home Electrical Product Compatibility. Some electronic devices simply give AFCI devices problems. Newer generations of AFCI devices are less prone to problems, but are certainly not immune. What to do: If you have an electronic device that constantly trips an AFCI device, try using it on a different AFCI circuit. If this same device trips a different AFCI circuit breaker, it's the result of incompatibility between the electronic device and the AFCI breaker, or possibly a major problem with the device. If using this same device on a different AFCI breaker does not produce the same nuisance tripping, try having an electrician replace the AFCI breaker that was experiencing the nuisance tripping. If you don't know what's tripping your AFCI device, try unplugging everything, then using one thing at a time until the problem can be duplicated. If none of that helps, it's time to call in an electrician to troubleshoot. In some cases, an AFCI device may trip without anything plugged in to any outlets; in those cases, it's likely a wiring problem. Unfortunately, some electricians get tired of troubleshooting tripping AFCIs and give up. 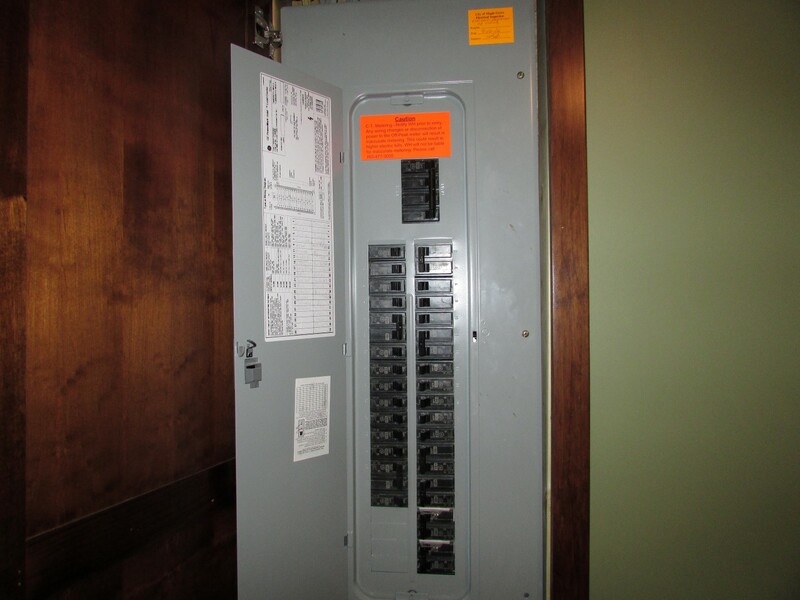 The panel shown below was installed in a 2012 built home, which should have had AFCI protection for about half of the circuits in the house. I was dumbfounded to find this relatively new panel without a single AFCI circuit breaker, so I followed up with the seller. They explained to me that they kept experiencing nuisance tripping after moving into their newly built home, so their electrician installed circuit breakers that could better handle the electricity. At least that's how it was explained to them. What really happened was that the electrician simply removed the AFCI circuit breakers and installed standard circuit breakers. I was at first disgusted with the electrician, but after reading about how much time and money AFCI devices have cost electricians (skip to the end of the NEMA article posted above), I understood a little bit more where the electrician was coming from ... not that it excuses this in any way, of course. Should home inspectors recommend upgrading to new AFCIs? No.